Sign up for the 5th Annual “Hot Trot 5K” run/walk. Proceeds will benefit the SNMMI-TS Professional Development and Education Fund, supporting the advancement of molecular and nuclear medicine technologists. A portion of registration proceeds will also support Project Access, who provide low income families the tools needed to break the cycle of poverty, become healthier, further educated and financially stable. Come out, have fun, and support your field. Prizes available for top runners in various race categories. The run will take place on Saturday, June 22, 2019 at 6:30 am. Learn more about becoming a Hot Trot Sponsor. Add the race when you register for the meeting. Register on the active.com running website. These informal gatherings at local pubs and bars on Monday evening will be organized around particular areas of interest. This will give you an opportunity to relax with colleagues and new friends to discuss issues of common interest. Join your colleagues and the SNMMI leadership following the Henry N. Wagner, Jr., MD Highlights Symposium, for a special champagne toast to help kick off the countdown to the SNMMI 2020 Annual Meeting in New Orleans, Louisiana! Make plans to attend the Sunday and Monday morning plenary sessions and the Tuesday afternoon Henry N. Wagner, Jr., MD Highlights Symposium at the Pennsylvania Convention Center. These informative sessions highlight keynote speakers, significant awards and accomplishments, the SNMMI business meeting, installation of the new SNMMI president, a synopsis of research during the Annual Meeting, announcement of the Image of the Year and much, much more. SNMMI's Exhibit/Poster Hall is always packed with more than 160 companies representing the latest innovations in nuclear medicine and molecular imaging products and services. In addition, view scientific posters in the Poster Hall representing notable studies and conclusions in this dynamic field of medicine. Network with your colleagues, meet new friends, gain new knowledge and listen to live musical entertainment in the SNMMI Booth while enjoying hors d'oeuvres and refreshments. Please stop by and thank exhibiting companies for their generous support of the SNMMI 2019 Annual Meeting. The Exhibit/Poster Hall will be open from Saturday evening to Tuesday afternoon during the SNMMI Annual Meeting. Hot Spot – Cash Prizes! Up to 20 exhibitors will designate their booth as a “Hot Spot.” Attendees will have six chances to win a $300 CASH drawing by being in the right booth at the right time. There will be two drawings each day during Dedicated Exhibit Hall Hours. Show Management will call out the hot spot company name and booth number. All attendees standing in that booth when the company name is called will be eligible to win $300 cash right there on the spot. The SNMMI Booth is one of the most sought after areas in the Exhibit Hall, and it will now be conveniently located in registration at the front of the Exhibit Hall. The SNMMI booth allows attendees to gather important information about MOC modules, purchase specialty products and books, learn more about the SNMMI 2019 Virtual Meeting, and receive copies of JNM and JNMT. The American Board of Nuclear Medicine is the primary certifying organization for nuclear medicine in the United States. The Board serves the public through assurance of high quality patient care by establishing standards of training, initial certification, and continuing competence of physicians providing nuclear medicine diagnostic and therapeutic services. Stop by the ABNM Booth located in registration at the front of the Exhibit Hall and ask questions about your Maintenance of Certification. Attend scientific sessions featuring oral and poster presentations by authors of accepted abstracts. Oral sessions are 90 minutes in duration and include up to 7 presentations per session with sufficient time allotted to answer questions from attendees, while poster sessions offer similar content with flexible viewing times. Investigators will be on-hand during the “Meet the Author” poster sessions to discuss their research. Add the race when you register for the Annual Meeting. or Register for the race on the active.com website. 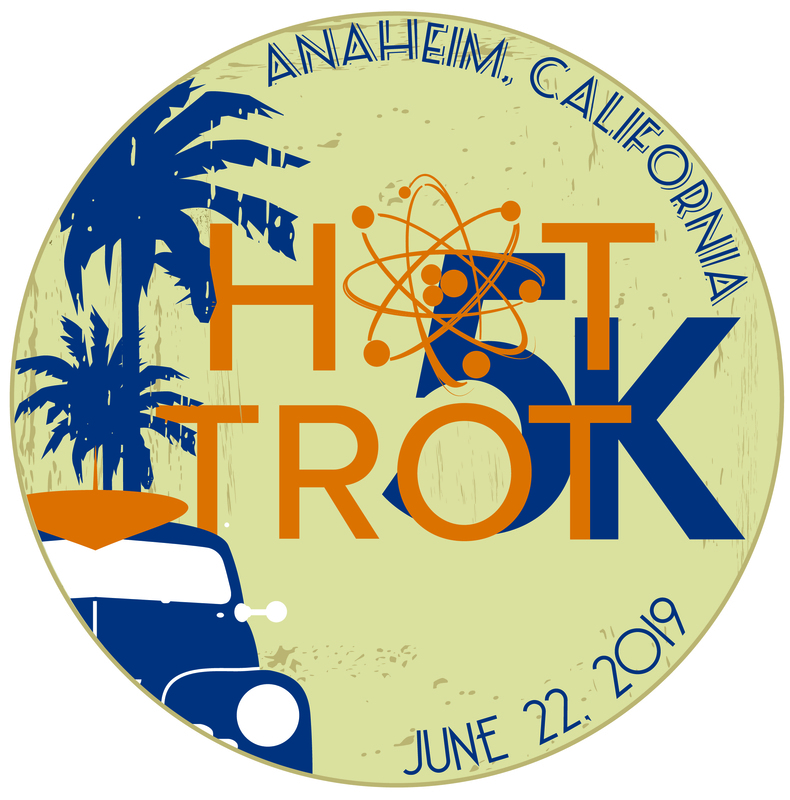 Learn more about becoming a Hot Trot 5K Sponsor! More than 60 countries are represented each year among the scientific abstracts featured during the annual meeting. SNMMI will again recognize the best scientific abstract from each submitting country. The Radiopharmaceutical Sciences Council (RPSC) and the Center for Molecular Imaging Innovation and Translation (CMIIT) are hosting the Annual Poster Mixer. It's your opportunity to view hundreds of scientific posters, enjoy refreshments, and visit with professional colleagues. Must be a current resident to attend. As a resident, we know how difficult it is to find time to network and meet with other colleagues while attending the meeting. The ACNM Nuclear Medicine Resident's Organization (NMRO) can help! The NMRO will be providing a free box lunch for all attendees. Key leaders, as well as the NMRO Board members, will be in attendance. At the start of the Tuesday “Meet the Author” poster session, poster finalists (1st, 2nd, and 3rd place winners) for scientific tracks, as well as educational exhibits, will be recognized for their work. Certificates will be presented to each finalist by the Chair of the Scientific Program Committee, and each winning poster will be identified by a prize ribbon affixed to the poster board.